Well the holidays are done! I hope that all of you had an amazing time with all your family and loved ones. As we welcome 2017, we get an opportunity for new beginnings, fresh starts, reaffirmations of love, and promises for a brighter future all come to mind as we ring in a New Year. Let’s make our New Year’s resolution to be there for each other and help fellow human beings in need even if we don’t know them personally, so come lets spread some kindness and cheer! 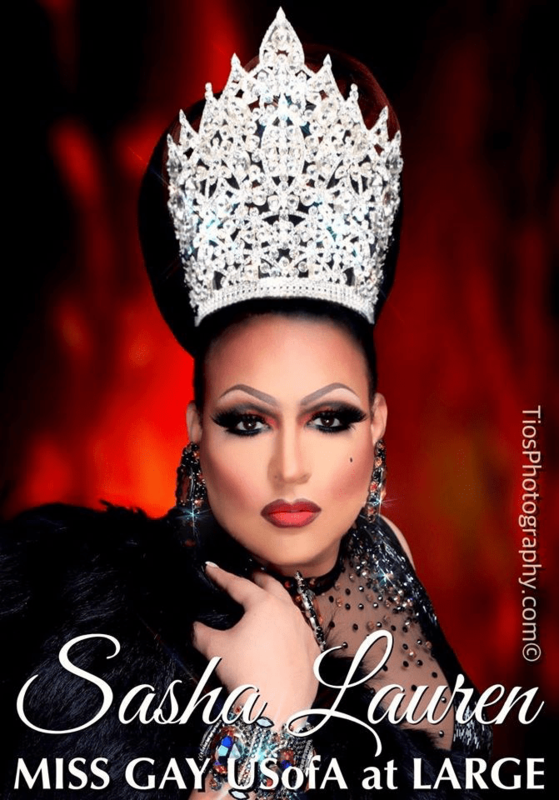 I want to take the time to send congratulations to David Armijo and Bruce Ragsdale (Dragon Lady) for an amazing pageant, Miss Gay Fire and Ice USofA. These two promoters are one of a kind. They invited some of the court to be a part of their wonderful night. Thank you for all you do. Congratulations to Porsche Paris on an amazing year as Miss Gay Fire and Ice USofA. Congratulations to your new Miss Gay Fire and Ice USofA Nina DiAngelo and 1st runner up Josephine O’hara Andrews. Both presented amazing packages. Don’t forget that on January 28th the Miss Gay California USofA at Large Pageant will be held in Long Beach, California. I am very excited to visit the State of California for the very 1st time. The 2017 preliminary schedule is filling up fast. I hope to get an opportunity to travel and be in a city near you soon!